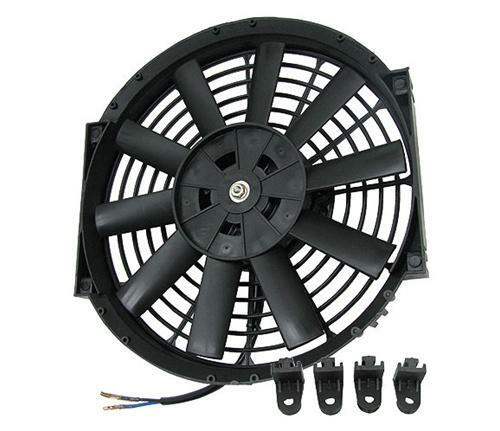 -12 volt high performance universal electric cooling fan. -This fan can be configured in either PUSH or PULL airflow. -High quality motor for long life and strong cooling performance. -Slim design allows for flush mount on a radiator.